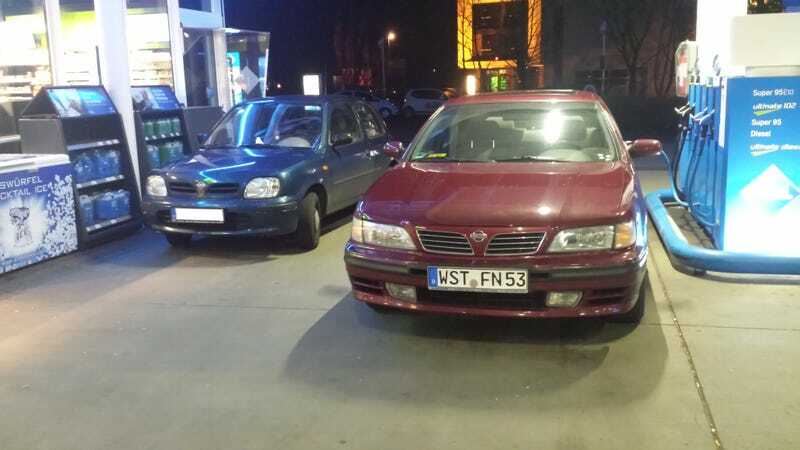 Two 90s BMWs at a petrol station. Back when RWD was undisputable. In related news, since switching to the blue fuel my mileage has gone up quite noticeably, the summer tires are now fitted and I discovered the cause of the mysterious brake warning light: a low brake fluid level. Only took me five weeks to figure out. I am a mechanic. Which only leaves the minor transmission oil leak and a clutch that can’t decide if it wants to slip or not.